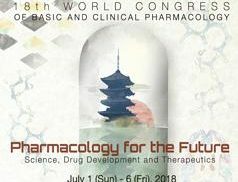 The Esteve Foundation was present once again at the most important international meeting in the field of pharmacology, the World Congress of Basic and Clinical Pharmacology, which in 2018, held its 18th edition from 1 to 6 July in Kyoto. The Esteve Foundation attended the congress to present three projects, among which is its collaboration with the Department of Experimental Sciences and Health of Universitat Pompeu Fabra on a project that introduces historical facts about the first antimicrobials to improve the teaching of pharmacology. The Esteve Foundation also presented in Kyoto one of its most ambitious projects, which it is developing in conjunction with the Department of Communications of Universitat Pompeu Fabra.The study will be led by the scientific journalist Gonzalo Casino and will seek to analyse the amount and quality of the information about drugs in the Spanish press.The appearance of news about drugs in 22 Spanish media organisations is analysed over one decade, from 2007 to 2016, including four news agencies, fifteen general interest newspapers, two economic publications and one directed at medical professionals. Among the results of this extensive study, which will soon be made known, the initial conclusions were presented at the Kyoto gathering. They included, for example, the scarcity of information about drugs in the Spanish press compared to other biomedical and scientific news.